Product Description Model NO. : gold Sewing Thread Feature: Eco-Friendly, High Strength, High Temperature-Resistant, Anti-Pilling, Anti-Bacterial, Breathable Technics: Ring Spun Number of Shares: Multi-Ply Type: Fancy Yarn Structure: Fancy Yarn Trademark: WHSD Specification: gold sewing thread HS Code: 5501100000 Usage: Knitting, Weaving, Hand Knitting, Sewing, Embroidery Material: 100% Polyester Fiber Length: Continuous Filament Pattern: Raw Coarseness: Fine Yarn Twist: Twist Transport Package: as Customers Request Origin: China Wuhan wan hai sheng da trade Co.,ltd. is established in 2002, which is specialized in all kinds of yarns,such as Pure silk yarns, silk insulated materials and silk tassels yarns and featured productions with more than 150Tons output every year . We have most-advanced equipment like Silk doubling tube device which is up to Double super standard of export, and we are the specialized enterprise to produce twisted silk with good quality and stable delivery. Many customers from Pakistan,India,Brazil,Australia and East Africa have been purchasing yarns from us. 20/2 Jeans, shoes, caps, leather products, etc. 20/3 Jeans, shoes, handbags, leather products, etc. 30/2 Art crafts, handbags, protective suits, etc. 30/3 Jeans, tents, leather products, handbags, shoes, etc. 40/2 Trousers, coats, suits, shirts, etc. 40/3 Protective suits, art crafts, shoes, etc. 50/2 Knitting garments, suit-dress, underwear, etc. 50/3 Art crafts, decoration sewing, field clothes, etc. 60/2 Ultrathin fabrics, underwear, suit-dress, etc. 60/3 Coats, suits, trousers, bedsheets quilts, blankets, etc. 80/3 Underwear, suit-dress, full dress, etc. If you have any interests, please don't hesitate to contact with us any time, Fast reply will be sent back at first time. Contact us if you need more details on Yarn. 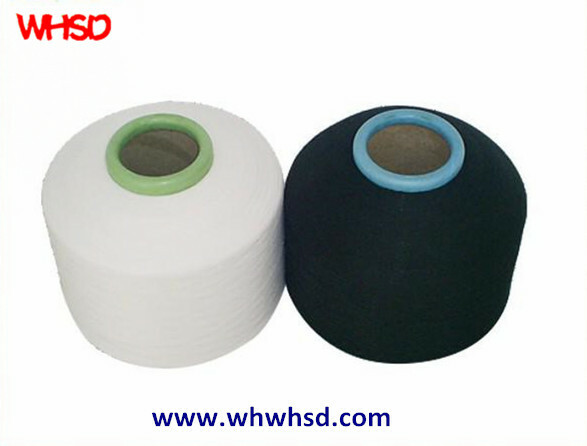 We are ready to answer your questions on packaging, logistics, certification or any other aspects about Polyester yarn、Embroidery Thread. If these products fail to match your need, please contact us and we would like to provide relevant information.